Born into a poor family in the farming village of Laiyang (萊陽) in Shandong Province in 1902, CC Yin started working at the age of 13 in nearby Japanese occupied Tsingtao (which was occupied by the Japanese between 1914 and 1922) as an office boy at a Japanese trading firm. He attended the Tsingtao College of Commerce and learned Japanese and English at night, eventually going to Japan in 1926 where he did his apprenticeship at a needle factory and graduated from the Technical Institute in Hiroshima. At the time most of the needles in China were Japanese or German made and Yin was determined to change that by building up the Chinese needle industry. In 1928, he returned to Tsingtao to start his first needle factory in China – the Chung Kee Needle Factory (忠記針廠) but unfortunately the business floundered and he was forced to sell out. Part of the problem with his first venture was its dependence on Japanese machinery, engineers and materials so when Yin started his second venture in 1931 – the Kilu Needle Work (冀魯制針廠), he developed his own machines which were better and more efficient than the imported ones. Thanks to its superior products, low prices and the boycott of Japanese products in northern China after the Japanese invasion of Manchuria in September 1931, Kilu’s business prospered and soon his factory was churning out 600,000 needles per day. His “King of the Beasts” brand needles were grabbing market share nationwide and he even exported to Southeast Asia and India under the “Security Alarm” brand. In 1933, Yin set up Hsin-Hua Machinery (興華實業機器廠) to manufacture his needle machines, holding a 10 year patent from the government. By 1935 he was a well-known industrialist nationally and even representatives from the industry leader Wilhelm Prym from Germany visited his Tsingtao plant. As the Japanese advanced in the North, Yin set up needle factories in Shanghai (1936) and Hong Kong (1938) under the name of Dah Chung Industrial (大中工業社) and also branched out into buttons and screws. As the War progressed, Yin moved inland with the Nationalist government to Chungking in 1940 where he established Dah Chuan Industrial (大川實業) which manufactured needles, machinery and asbestos. 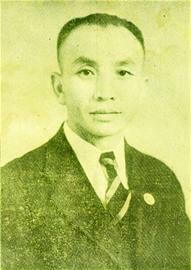 He also founded Dah Sing Industrial (大星實業) in Chengdu in 1942 to produce flour. After the War, he returned to Tsingtao where he took back his needle factory from the Japanese and was also involved in chemicals, wood and dyeing & weaving. A pro-KMT industrialist, he served on the Tsingtao City Council and was elected as a representative to the National Assembly in 1947. 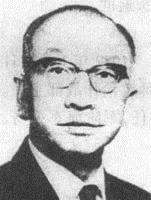 He also set up Dah Tung Industries (大東工業股份有限公司) in Taiwan in 1947 after he took over a Japanese owned paper mill, and in addition to paper, Dah Tung was also later known for manufacturing its “Flying Tigers” brand of bicycles. After 1950, Dah Chung Industrial (大中實業) in Hong Kong became the center of Yin’s operations, specifically his industrial complex in Shaukiwan which in 1949 consisted of a needle & pin factory, a screw factory and a button factory covering 50,000 square feet and employed over 800 workers (many of whom came from Tsingtao) with products shipped to pretty much every corner of the globe. In 1962 he added Oceania Industries to expand into metals and shipping and Screws & Fasteners in 1969 to import industrial tools. A principled industrialist, Yin did not drink or smoke and demanded the same discipline from his workers and was always ready to get his hands dirty with machines in the factories. Yin served as vice chairman and later honorary chairman of the Chinese Manufacturers Association (CMA) in Hong Kong. Outside of business, Yin was a major art collector and was a friend of the famous painters Zhang Daqian and Pu Ru. He died in Hong Kong on December 26, 1984, leaving four sons and 1 daughter. His sons Dominic Teh-Chuan Yin (尹德川, born in 1941 in Chungking so “Chuan” is named after Szechuan) and Paul Tek-Shing Yin (尹德勝, born in 1943, “Shing” represent his aspiration for Chinese victory in the Sino-Japanese war) both graduated from Ohio State and worked for their father. Dominic later struck out on his own in Taiwan and has become active in environmental protection in recent years while Paul took over Dah Chung and also served as president of the CMA from 2008 to 2010. Today Dah Chung remains one of the world’s leading supplier of needles, pins and sewing accessories with most of its manufacturing done in mainland China (including a JV factory in Tsingtao) after the re-development of its Shaukiwan complex into Hong Wah Mansion in the early 1980s in cooperation with property developer Cheung Kong. This English name is based on the inscription in a picture of the delegation from Prym in Dah Chung’s website; the Chinese named literally means “Hopei-Shantung Pin Manufacturers” which is found in 2 sources.